The term ‘100 crore club’ has become the benchmark target by which to measure the box office success of a film. 2012 had 8 official 100 crore plus films. That is 3 more than 2011. 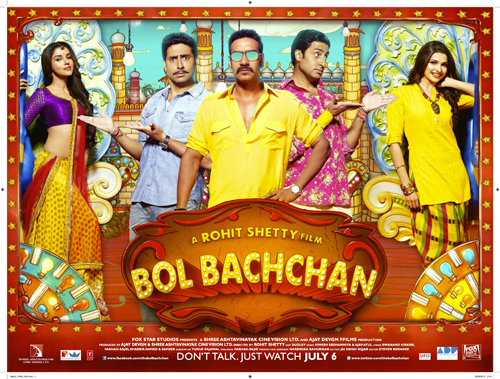 As expected, the majority of films are either of the action genre (Rowdy Rathore, Agneepath, Ek Tha Tiger) or comedy genre (Housefull 2, Bol Bachchan, Son of Sardar), but it was good to see different films (Barfi) also do well in 2012. One thing is for sure, none of the films have yet been able to beat the current record held by 3 Idiots (202 crore). This was an actual remake of Golmaal, rather than Devgan’s namesake series. It did not just make over 100 crore, but also gave Abhishek Bachchan a most needed hit, or super hit in this case. If there is one thing Ajay Devgan has mastered, it is the formula for box office success, be it comedy (Golmaal 3) or action (Singham). Himesh Reshammiya also started his successful second innings this year from the music of Bol Bachchan. Yash Chopra’s last film. Shah Rukh Khan back as the king of romance. The original pairing with Katrina Kaif. A.R Rahman’s first collaboration with Yash Chopra. All of this spelt box office magic and we expected no less. Shah Rukh Khan had nothing to prove this time round, having had the pressure to hit 100 crore mark last year with Ra.One and Don 2, but with fierce competition from the other two Khans, he has made it his third 100 crore film in the all time list. 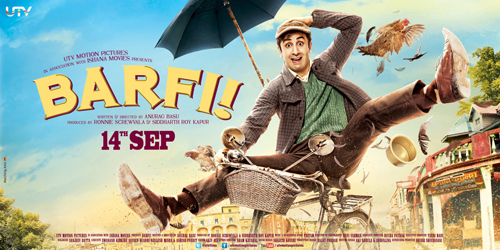 No one thought a film like Barfi! would strike gold at the box office. Who would have thought the story of a mute and deaf leading man and his autistic love, would hit over 100 crore? It just went onto prove that the power of content and performances is still key in drawing in the audiences. It also places Ranbir Kapoor as the youngest leading male actor in the coveted 100 crore club. With his increasingly good choices and performances we know we will be seeing his name feature many more times in the 100 crore list. Sajid Khan followed up his super successful Housefull, with the even more successful Housefull 2. It was also a much relieved welcome for Akshay Kumar, who being counted as one the top actors of the industry, had hit a rough patch. It was only a matter of time, but now he has made a place for himself in the 100 crore club. Akshay staked his claim with not one, but two 100 crore films this year. Now that’s we call a 100 crore comeback! 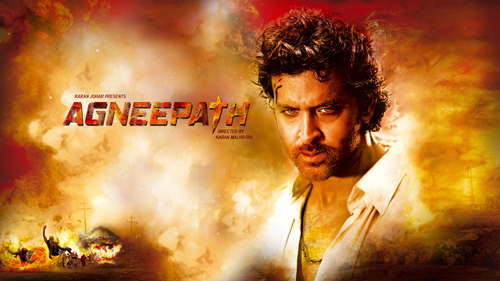 Despite it being a cult classic, Karan Johar felt compelled to remake Agneepath and re-address the fact that it was not a commercial hit in its time. Not only did he redress that through a stunning retelling of the revenge drama, featuring amazing performances from Hrithik Roshan, Sanjay Dutt and Rishi Kapoor, the film was also the first big hit of the year and set the bar high for the rest of the year. With Hrithik Roshan now also joining the 100 crore club, we expect an even bigger Krrish 3 from him next year. Prabhu Deva was behind the camera for his second film after super successful Wanted, which reignited Salman’s current wave of success, so we all knew exactly what to expect from this one. The film gave Akshay his second 100 crore film of the year. Whilst Housefull 2 was a multi-starrer, here Akshay got to play a double role and be confident that he hit the 100 crore mark with a solo hero film. Rowdy Rathore was an ode to the masala films of yesteryear and was helped by its great action and music. Was there any doubt that this would not be a smash hit? 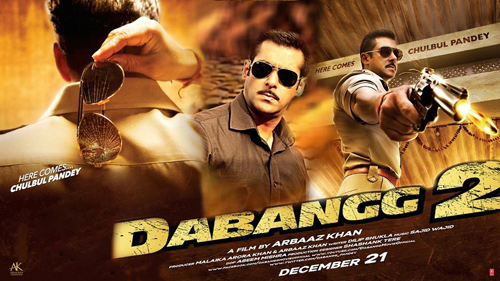 Ever since Dabangg 2 was announced, audiences have been eager to see the saga of Chulbul Pandey continue. This time round brother Arbaaz Khan took to the director’s chair and delivered a part 2, which was pretty much a template of the first part, but that did not stop audiences lapping it up again. If the end teaser is anything to go by, then expect a Dabangg 3 sometime soon. We certainly aren’t complaining! He came, he conquered, he reigned. Salman Khan rocked in Ek Tha Tiger. 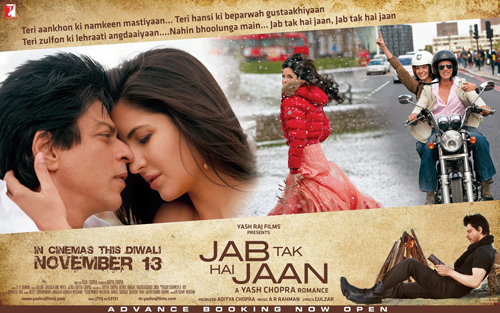 A much more polished and intelligent action hero film, thanks in large to director Kabir Khan. 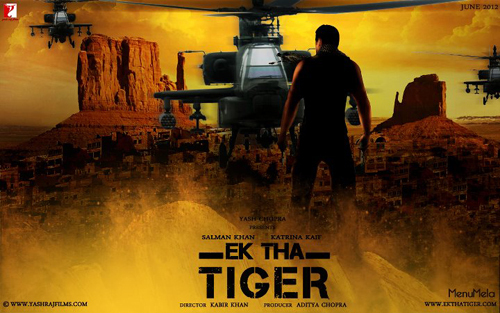 Ek Tha Tiger tops the 100 crore list and is the highest grossing film of the year by far. It was just shy of hitting the 200 crore mark, so the record is still held by 3 Idiots, but only just! Whichever way you look at it, Salman Khan is currently the highest revenue generating star of India, with the highest total box office takings since the 100 crore records first started. 16 queries in 1.162 seconds.